Dental crowns are now a popular method for people who are seeking ways to restore a tooth or multiple teeth that have been damaged from erosion or decay. They offer someone a way to have a more natural smile as well as a more natural bite when chewing foods. While dental crowns can be a long-lasting treatment method, they may not always last forever. Dental crowns do restore the teeth but it is vital for a person to take great care of the teeth and the dental crowns so that they last as long as possible. Today, we will discuss how long dental crowns should last based on the care that they give to the crowns over time. Dental crowns are said to last anywhere from 5 to 15 years. However, dental crowns may last a lot longer if a person gives special care to the dental crown and the surrounding area. Dentists often recommend that a person visit them regularly so that they can keep watch on the dental crown. When special care is given to dental crowns they can last a lot longer. It is best to avoid chewing on hard substances such as candies or foods because they can cause damage to the dental crown such as chipping or cracking. Doing so will ensure that the dental crown lasts a lot longer than planned. It has been said that when cracks or chips aren’t causing damage to a dental crown, they tend to last longer. Most people may not realize that there are certain habits that a person may do that will shorten the lifespan of a dental crown. Grinding the teeth or biting of the nails can shorten how long a dental crown will last. Both of these habits are harmful to the dental crown because it may cause them to loosen over time. Cracks and chips in the dental crowns are also a common occurrence from grinding of the teeth or biting of the teeth. Talk with a dentist about ways to drop these habits so that the dental crowns last longer. The dentist can advise a person on how to stop grinding of the teeth or biting their nails. They will want to help their patients maintain their dental crowns so ask them today about how to stop these harmful habits. Dental crowns can be beneficial to a person so long as they maintain them properly. 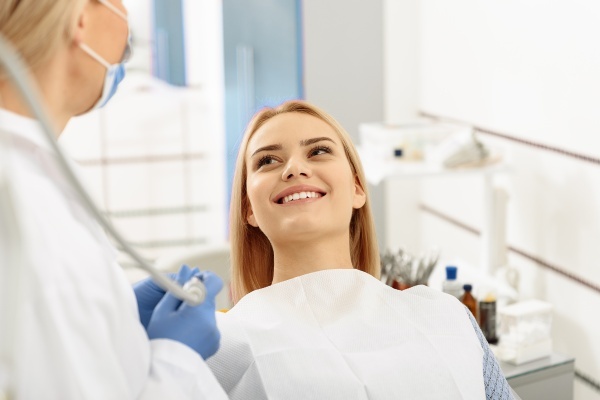 Knowing the best ways to care for dental crowns so that they last longer will ensure that they provide the best benefits to a person and their overall oral health. While dental crowns may not last forever, a person can prolong their lifespan as long as they give the proper care to them. If you have questions about how long your dental crowns will last then reach out to us today. Our trained professionals are happy to assist you in any way that we can. Are you considering dental crowns in the Emerson area? Get more dental crown information at https://www.emersondental.com.